After weeks of anticipation, we are thrilled to announce more than 220 sessions that have been selected via PanelPicker for the 2018 SXSW EDU Conference & Festival! 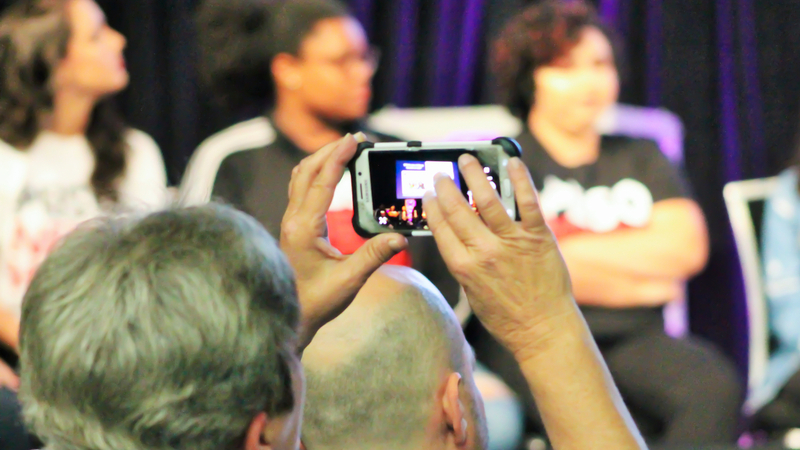 Each year SXSW EDU looks to the community to help program the Conference & Festival. Using PanelPicker, a two-step, digital crowd-sourced platform, the community is encouraged to enter session ideas for SXSW EDU 2018. This summer an overwhelming 1,400+ session ideas were received. Voting and evaluation of these ideas took place in three parts: community, SXSW EDU Advisory Board and SXSW EDU staff review. As a result of this crowdsourced process for programming the event, we are excited to celebrate more than 220 sessions and over 500 speakers today. A rich array of topics are represented throughout these sessions with an emphasis on leadership and a shared eagerness to better learning for all students, both in and out of the classroom. Newly announced speakers include Houston Police Chief Art Acevedo, U.S. Representative Scott Peters, National Teacher of the Year Sydney Chaffee, Black Girls CODE Founder Kimberly Bryant and more! Citizen-Ready and Crime-Free: The PreK Advantage was the most popular session in PanelPicker. How Data & Automation Humanize Student Experience received the highest number of public votes. Equity is the most robust programming track on the program thus far. Popular topics in this announcement include design, development, leadership, EdTech, innovation, access and skills. The highest scored sessions by the SXSW EDU Advisory Board are Beating Those ‘Mon. Morning Social Media Blues’, Personalizing the Online Experience, Equity Innovations for Low-Skill Adults and Teach For Equity: Building Communities of Practice. Browse the full list of announced sessions below and begin building your schedule for SXSW EDU 2018 by logging in at schedule.sxswedu.com and starring your favorites. Early registrants benefit from discount savings and the best SXSW EDU rates and hotel locations – register to attend and book your hotel before Friday, October 20 to save $200 off the walk-up rate. There’s more exciting announcements coming soon – stay tuned for news for SXSW EDU 2018 including the first PanelPicker programming announcements. Be sure to sign up on the SXSW EDU newsletter and follow us on Twitter, Facebook, and Instagram.